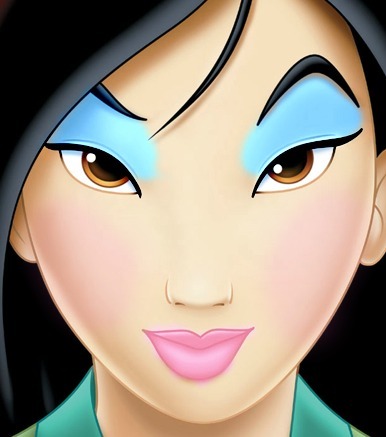 mulan wearing makeup. so,she decided to ditch the traditional chinese look for something más modern lol. joking aside,i thought i'd save my favorito! DP for last.. Wallpaper and background images in the princesas de disney club tagged: disney princess mulan walt disney.